AND then all of a sudden —Miss Moppet jumps upon the Mouse! 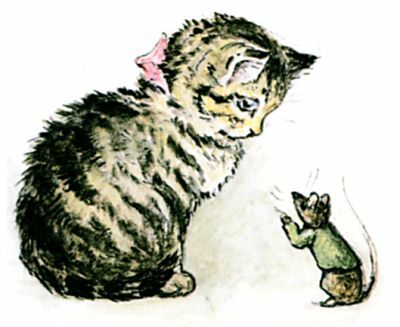 AND because the Mouse has teased Miss Moppet —Miss Moppet thinks she will tease the Mouse; which is not at all nice of Miss Moppet. BUT she forgot about that hole in the duster; and when she untied it—there was no Mouse! HE has wriggled out and run away; and he is dancing a jig on the top of the cupboard! 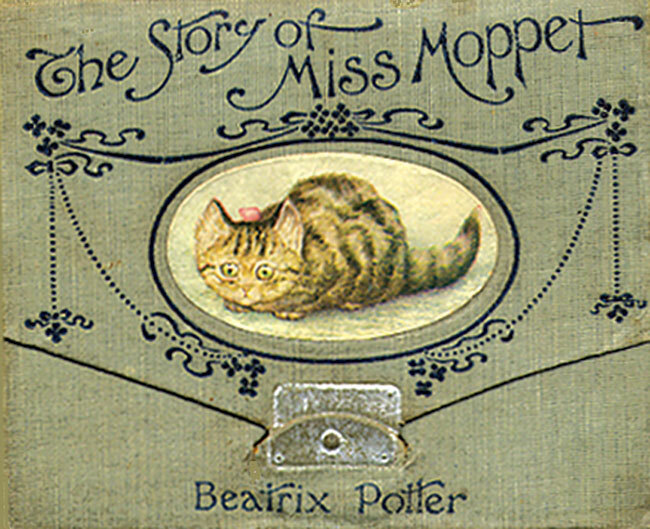 Add The Story of Miss Moppet to your own personal library.